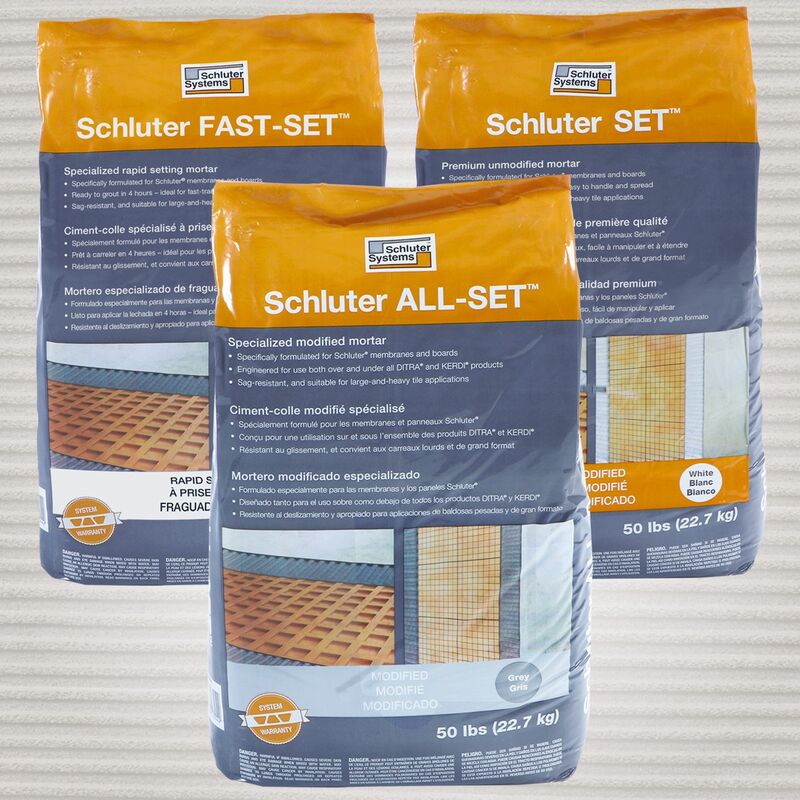 Three types of thin-set mortar from Schluter-Systems have been announced: Schluter Set unmodified, Schluter All-Set modified, and Schluter Fast-Set rapid-setting. The thin-set mortars, including the All-Set and Fast-Set modified varieties, can be used to set tile over Schluter-Ditra, Ditra-Heat, Kerdi and Kerdi-Board products. 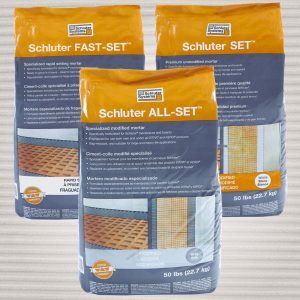 Schluter Set unmodified thin-set mortar is approved to set tile, including porcelain tile, over Schluter boards and membranes. The All-Set modified thin-set mortar is engineered for use both under and over all Ditra and Kerdi products. The Fast-Set specialized rapid-setting thin-set mortar is ready to grout in 4 hours for fast-track projects.